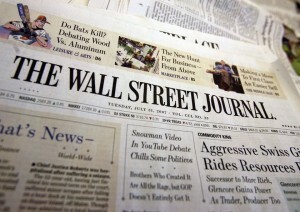 Sponsored content, native advertising, ads that are annoyingly similar to editorial content — whatever you want to call them, they’re coming to The Wall Street Journal. Welcome to the party. The move isn’t surprising. More media companies are participating in native advertising every day. The New York Times said it was getting into the game last December. The problem with the sponsored ads is that some people view them as deceptive; that they’re designed to intentionally confuse the reader. Gerard Baker, editor of the Journal, doesn’t think that will be an issue.